Saturday, April 7, was National Beer Day but that doesn't mean everyday can't be a chance to learn more. It's not a holiday but it is a celebration of sorts. On this day, if there ever was a time to take the plunge and try a beer, one that has national recognition would be a great one. For non-beer drinkers, here's an "intro to beer guide" from the NC Beer Guys. Dave and Glenn are the NC Beer Guys - they promote North Carolina craft beer and breweries through our website and other social media platforms. They offer a variety of maps, videos, events listings and much more - spotlighting NC breweries, cideries, and craft distilleries. Follow them on Facebook and Twitter. There are actually two "types" of beer - craft beer and big beer. Big beer is better known as the national brands - Budweiser, Miller, Coors, etc. They've been around for a long time and people have settled into those beers as their staple. Low alcohol, pedestrian flavor and inexpensive. A better recommendation for this day would be to try craft beer. An easy comparison of the two would be - if you were offered a plain hamburger on a bun or an Angus burger on an artisan roll. Yes, it's that different! If you've ever perused a bottle shop or a supermarket with a large beer selection, you may have felt intimidated by all the styles and breweries available. Even a visit to a brewery or a taproom, the beers available can cause your jaw to drop. The craft beer market has grown exponentially over the years, especially in North Carolina. Knowing which beer to pick that's going to please you could be a challenge. 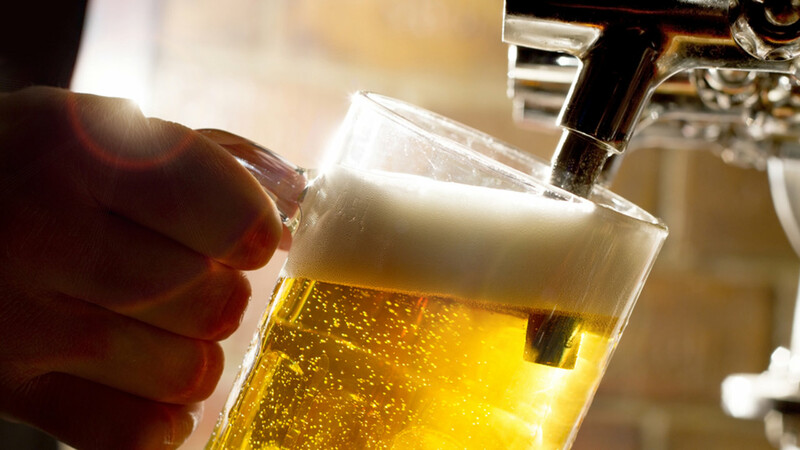 If you never experienced beer or have just had a pilsner, lager or amber, what do you pick? Think of craft beer as a journey in flavor. There are assumptions by people who have not had craft beer that it tastes hoppy and bitter or it's a dark, roasty sludge. These are two extremes that unfairly generalize what craft beer is really like. As of 2016, there are 152 styles of beer according to the Brewers Association. That's 152 different types of beer and technically just a guideline. It doesn't count when a brewery blends styles to come up with something new and creative, which is what you'll get at a craft brewery. IPA's get stamped with the generalization that they are bitter because of the list of hops added. Hoppy doesn't necessarily mean bitter though. Hops do add bitterness to beer but sometimes it's balanced to be relatively indistinguishable. Hops also add incredible flavors and aromas that are fruity, tropical or floral among many others. You may have seen the acronym NEIPA - which means New England IPA. This new style of IPA is a hazy beer with lots and lots of hop flavor - sometimes even accentuated with so much fruit that it's practically a beer fruit juice! Dark beers such as stouts and porters tend to be less bitter. These two styles gravitate towards chocolate (and who doesn't love chocolate? ), coffee and caramel to name a few flavors. Some are very rich while others are thinner but full of flavor. There isn't a hard-set rule to what beer has to be anymore because brewers are experimenting with all types of ingredients to create a great beer to please the buying public. These beer examples are really only the tip of the iceberg. Some people say they don't like beer - remember there are more than 152 styles out there and have all those styles been tried? The key is finding a beer you like! How about starting with a gateway beer - one that's easy to drink and not going to hit you with anything overwhelming. Kolsch, cream ale, blonde ale or a wheat beer is a nice transition to craft. From there you can choose a path from light beer to darker beers or from mellow to aggressive in hops and maybe even play with the color spectrum with fruit beers and sours. When shopping around, a lot of times there are descriptions on the label to what the brewer wants you to expect from the beer. Read the labels to see what draws you. If you're at a brewery or taproom, ask for a sample - they'll gladly oblige. A good way to try a few beers, but not commit to a pint, is with a beer flight. A flight consists of four 3oz pours of beer - sometimes they'll ask you what you'd like or you can ask them for recommendations. Explore the world of beer because it's exciting and never-ending. Just like chefs create great dishes that amaze people year after year, brewers are craft beer artists that push the envelope of creativity. The NC Beer Guys are ABC11 Influencers. For more on all things beer, check out their website.